← There’s a $200 million abandoned village of Disney-like castles in Turkey! 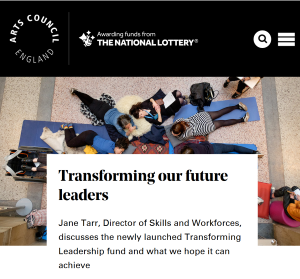 This fund aims to ensure arts and cultural leaders are appropriately skilled and from diverse backgrounds to support the continued growth and long-term sustainability of the sector. Funding activity relates to programmes or interventions focused on leadership development and the grant range is between £150,000 – £1 million. You can find full eligibility criteria in the guidance for applicants. Key dates: The deadline for Expressions of Interests is 12pm (noon) 7 February 2019. The fund will be open for full applications in March.